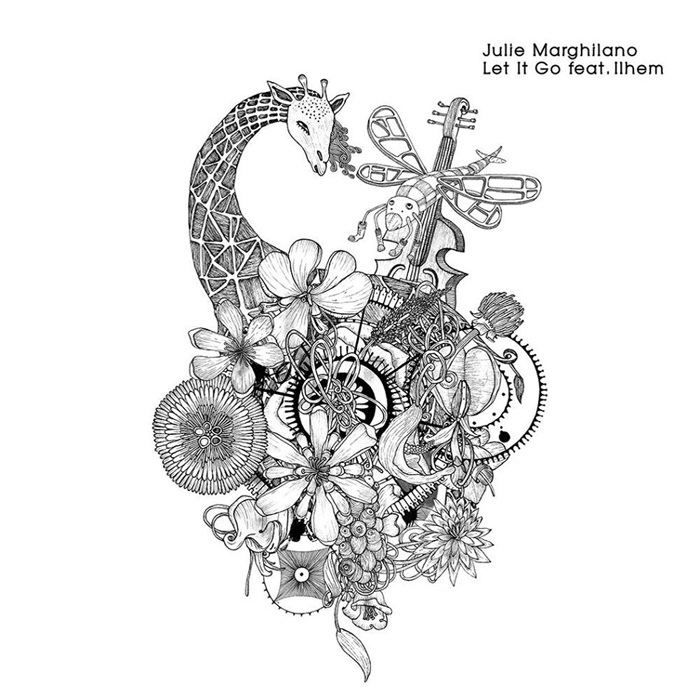 I’m always down for bouncing house beats with a subtle, dreamy vibe, particularly if you add in the sort of woozily scrobbling notes that appear on “Let It Go Part 2,” the title track from Julie Marghilano’s latest EP. But more than anything, the name Ilhem caught my attention—that’s the name of the vocalist who sang on these tunes—because I met a jazz singer called Ilhem a few weeks ago. Given the fact that Marghilano and her Sol Asylum record label are based in Berlin, as is this Ilhem I met, and because Ilhem is a pretty rare name, I figured there was a chance that these Ilhems were one and the same. Online record store Decks confirmed my hunch—the singer is Ilhem Khodja, whose velveteen vocals add a touch of soul to Marghilano’s atmospheric production. Sol Asylum will release Let It Go as a 12″ on October 8, but you can hear the tunes in full right here.